Dr Mathew is Professor and Head of Animal Sciences at Purdue University, USA. Professor Mathew was formerly Head of Animal Sciences at the University of Tennessee. He has published widely on pre-harvest food safety, specifically the effects of nutrition and animal management on the occurrence and antibiotic resistance of pathogens on the farm. 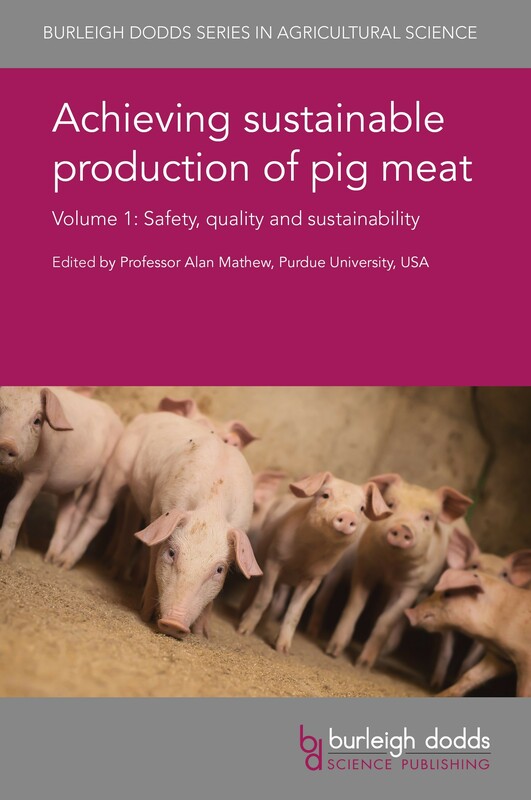 With its distinguished editor and international team of expert authors, this will be a standard reference for researchers in swine science, producers, government and other organisations involved in supporting pig production. It is accompanied by two companion volumes which focus on animal breeding, nutrition, health and welfare. "This new book addresses the most important topics in pig production today: food safety, meat quality and sustainability. Consumers have concerns in all these areas and the chapters in this book, written by acknowledged international experts, will provide solutions to problems and highlight new opportunities. It is destined to be a standard text."